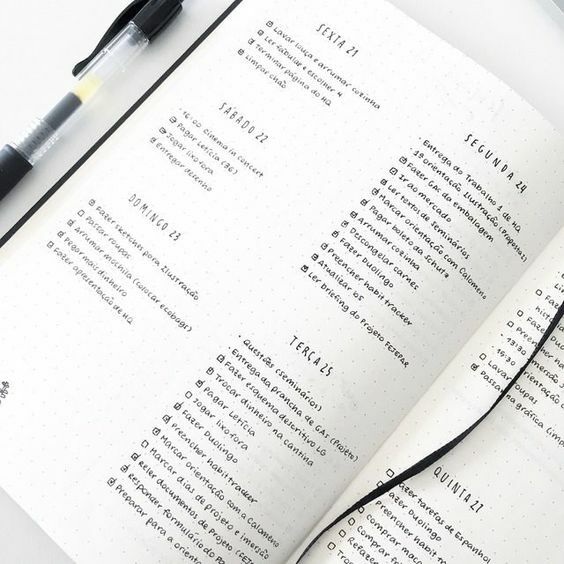 This bullet journaling personality is very practical and intentional—a no-nonsense approach to bullet journaling. 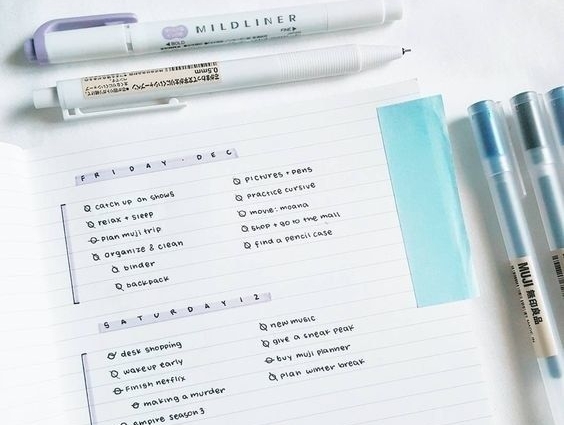 The fewer frills the better, but while the decorations are kept to a minimum, this person’s bullet journal is still highly organized and structured. It is simple, but not simplistic. The pages look peaceful, but each piece of the page has a purpose. Don’t be fooled; the minimalist’s bullet journal is not less customized than the others’! 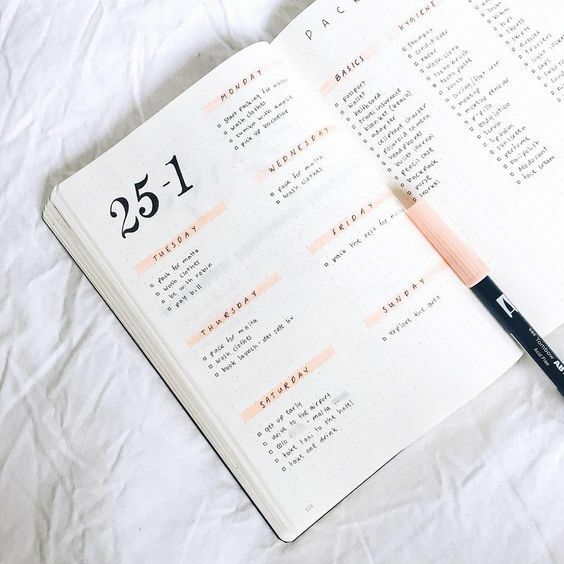 A beautiful, well-thought-out and peaceful bullet journal! Fear of the blank page—sometimes minimalists can be perfectionists (this is something that many of the personalities have in common). Getting paralyzed by making mistakes that will ruin a spread. Lack of creativity—some minimalists get so stuck in a routine that they neglect other areas where they could be planning their lives better. Many minimalists don’t ever attempt to track anything, and many don’t prioritize documenting past events or journaling. Struggle with fear of the blank page? Plan out your layouts with little thumbnails in pencil in the front of your book—both to plan it aesthetically, and to re-use it later. Why re-invent the wheel? This personality doesn’t get its own category because it really is just a particular kind of minimalist. The traditionalist is one who sticks undauntedly to the original tenets of bullet journaling—line by line, no fancy boxes or colors or decorations. This is the person who sticks to the essence of what bullet journaling has always been: an analog system. 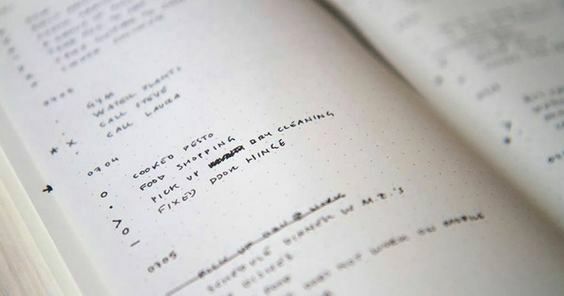 This person’s bullet journal is likely to look the most like inventor’s, Ryder Carrol. Are you a minimalist? Do you see any of these strengths and weaknesses in yourself, and are you going to try any of these tips?